Throughout the Southern California area, there are many great places to visit for kids. There’s the Natural History Museum, the Japanese American Museum, the La Brea Tarpits, the Getty, the Zoo and so many more. These are all amazing and I remember visiting each of these at least 5 to 10 times. Now, there’s an additional place to take the kids on the field trip; the Martial Arts History Museum. The Museum is not about the punch and kick, it’s not a sports museum, it’s not a who’s who. 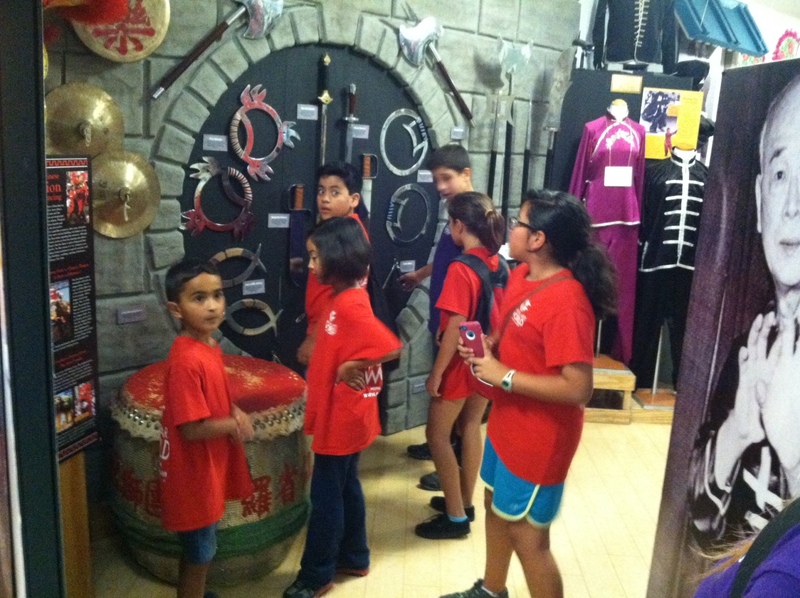 The Museum is a fun, educational facility teaching young people about Asian art, history, music, culture and tradition. Designed by the artists of THE WALT DISNEY COMPANY, DREAMWORKS and THE SIMPSONS, is represents a timeline of how Asian history became part of American history through the martial arts. The Museum was created to open the doors to diverse cultures and provide a bridge of understanding of different peoples. Featured art includes Thai paintings, samurai artistry, Japanese Kabuki, Chinese Opera, etc. The process for the visit includes: 1) Allowing the kids a little time in the Museum to look at things; 2) They will be then gathered at the front to begin a personalized and very fun tour in which we encourage participation; and 3) We break them up into teams and provide them with a fun, educational scavenger hunts they fill out and all receive a nice, official Museum sticker when complete. This is not a huge facility, but it does take exactly 1 hour to complete. We have designed the type size, the reading level and color coordination to be pleasing to young kids. Pictures are large and information just enough for learning. There are videos in every section to explain plus written information on the walls. 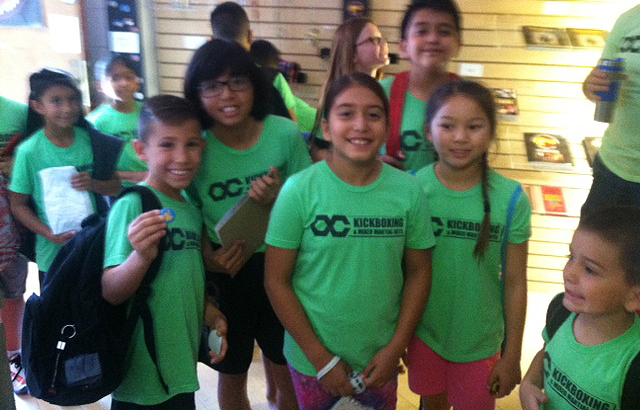 The average group size for our tours are usually 30 kids but we can make adjustments to that figure. Largest size is 90 kids. We require a reservation of at least 2 weeks in advance for the 30 kids and 1 month in advance for the 90 kids. We charge a very minimal price so that everyone can enjoy the Museum. Payment can be made at the facility. Parking: Buses can pull up right to the front of the Museum, street parking. There is a nearby, free parking structure that can also be used for vans and autos. The Martial Arts History Museum is the only one of its kind and one teacher said, it is the only museum that the kids pay full attention to the tours. We can accommodate any age kids, challenged groups, senior groups, etc. We have a familiarity working with many challenged groups. We can book tours when the Museum is closed. We actually prefer it that way. Monday thru Wednesday. This way the Museum is yours alone for that hour. However, we can still accommodate Thursday and Friday tours but prefer Mon – Wed.
To make a tour request, call the Museum President Michael Matsuda at (818) 478-1722 or email info@MAmuseum.com. Email is preferred.